Last week I visited the exhibition of Alfred Munnings WWI paintings in Chelsea. He was commissioned by the Canadian War Memorials Fund to paint their Cavalry Brigade. I thought his oil paintings, some of which were painted within a mile of the enemy, were outstandingly good. He became renowned for painting horses, but could paint people equally well. Munnings worked in an impressionistic style, using a flat brush and dabs of well placed colour, especially on the backgrounds. For detail of the horses and on men’s faces he must have used a really thin brush to set down accurate paint marks. This is no mean feat with thick gooey oil paint. The are a few pencil sketches by him showing his ability to look at a scene, then draw with near photographic realism. These paintings are the result of years of practice. This is a big exhibition with lot of paintings on display. As well as soldiers and horses Alfred Munnings also painted prisoners of war logging in woods further from the front, and ruined buildings and in otherwise peaceful landscapes. He did not paint dead soldiers of horses, following contemporary convention (and the official line). 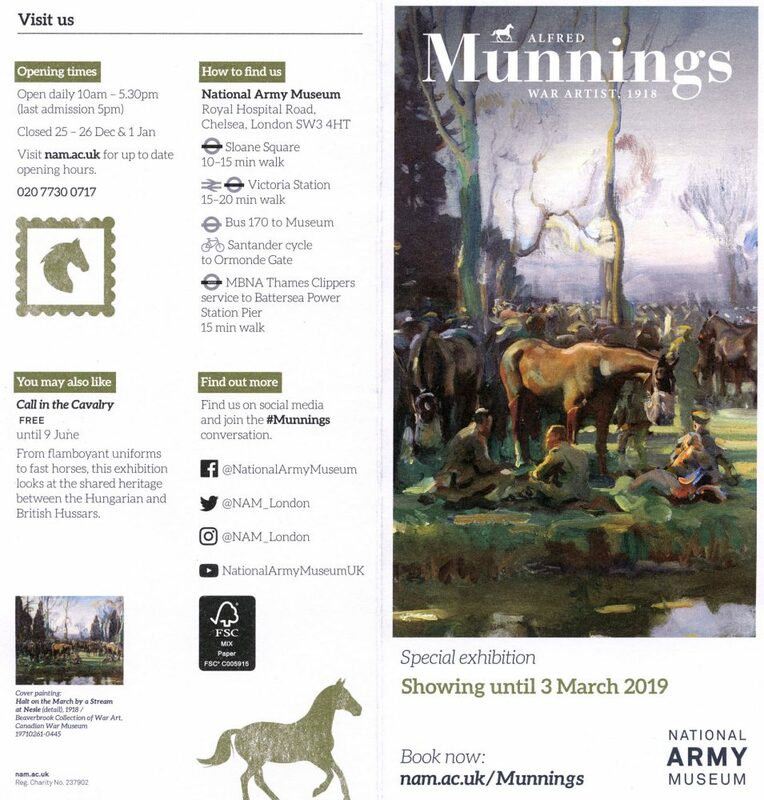 The exhibition Alfred Munnings: War Artist,1918 is on at the National Army Museum, Royal Hospital Road, London, SW3 4HT. It’s open daily 10-5 until 3rd March 2019. Adult admission to the Munnings Exhibition is £6, or £3 with an Art Fund Card. Disabled access is very good. 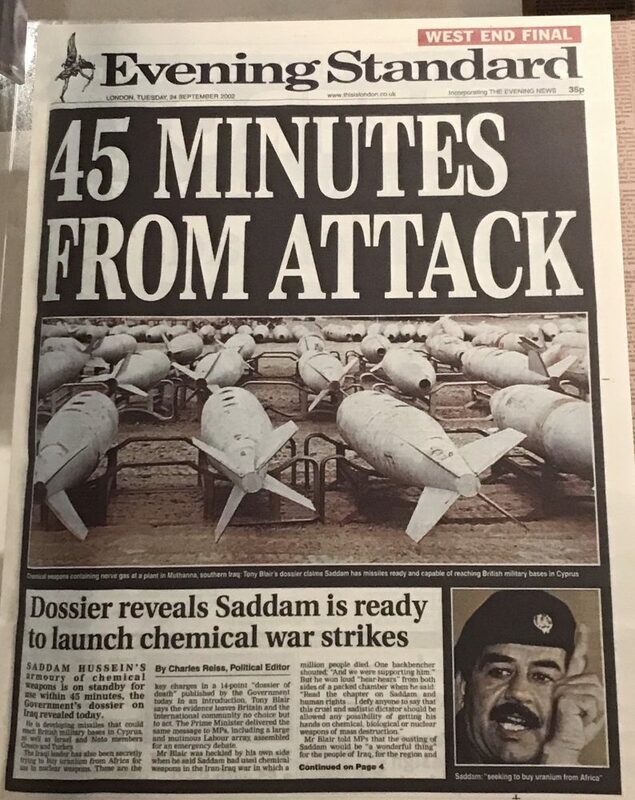 The nearest tube is Sloane Square, which is about 10 mins walk away. 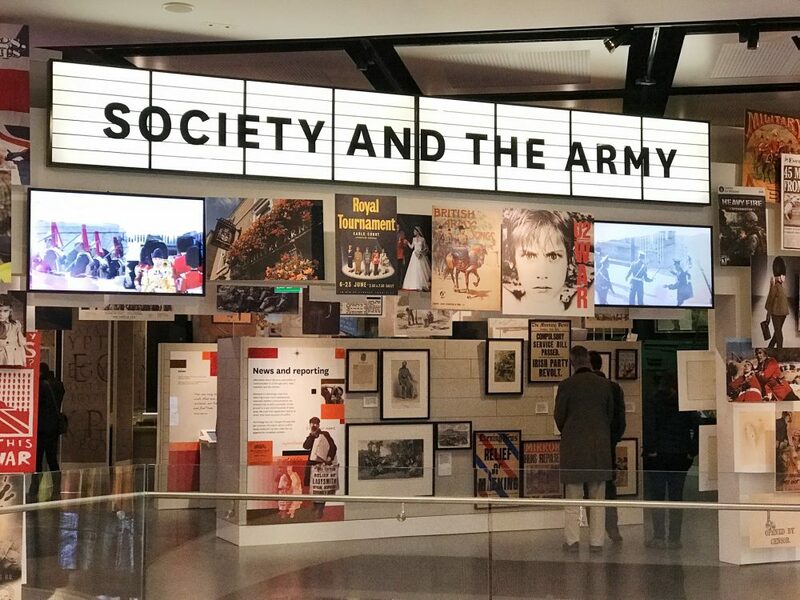 Entry to the other exhibitions in the National Army Museum is free. The origins of the British army lie in the New Model Army formed in 1645 by Parliamentarians during the English Civil War. The displays start with a big painting of Oliver Cromwell. Later they move into the modern age as you can see in my two photos here. 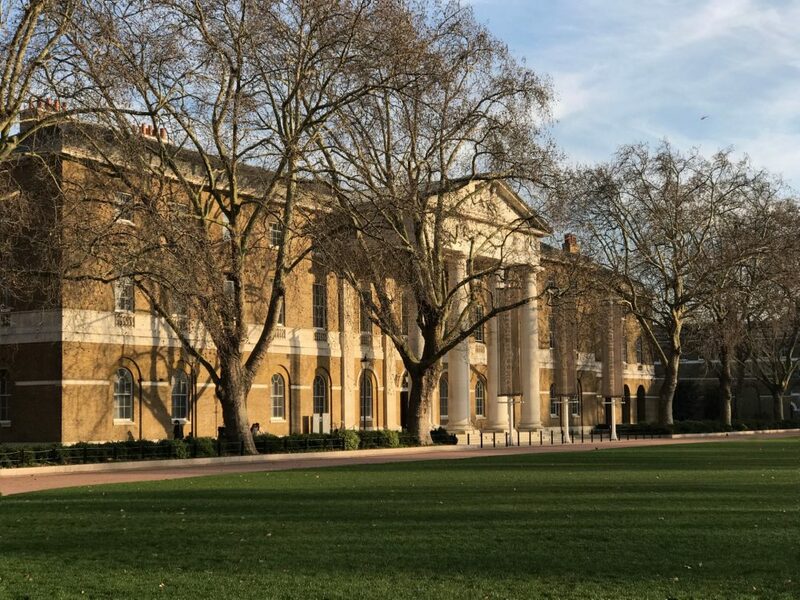 Whilst you are in the area I can also recommend a visit to the enormous Saatchi Gallery (pictured below), just along the Kings Road from Sloane Square. It’s free and open 10am-6pm, 7 days a week. This is always good fun, although it sometimes challenges what I consider to be art! Last week I discovered lots of big paintings in there that I thought were brilliant.